Tottenham are reportedly set to make another effort to sign Crystal Palace winger Wilfried Zaha in the summer, with their rivals valuing him at £25m. Despite failing with a bid last summer and seeing their interest rebuffed in January, the 24-year-old remains a top target for Spurs who hope to add more pace and youthfulness to their attacking options ahead of next season. Whether or not Palace escape relegation will be a crucial factor in the transfer saga, as The Express claim that Mauricio Pochettino remains determined to land his man and will revisit the situation in the summer hoping that it’s third time lucky. Zaha has scored just four goals and provided eight assists in 24 appearances in all competitions so far this season, but with the right team and right manager, there is still a lot of potential that has yet to be fulfilled. 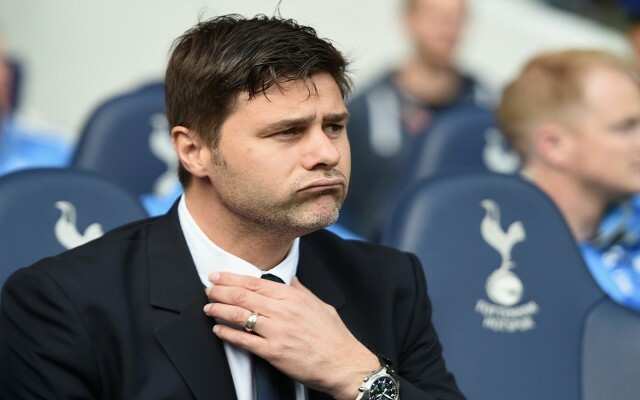 In turn, given Pochettino’s track record with improving players over the years, particularly during his time in the Premier League, it would seem like a sensible move for both parties. Naturally, Palace won’t want to lose one of their prized assets, but if they aren’t able to avoid the drop, then they will likely have no choice. Elsewhere, Spurs could be receiving a financial boost to fund the move as it’s reported by The Daily Mail that Nabil Bentaleb is on the verge of completing a £16m move to Schalke. The 21-year-old is currently on a season-long loan with the Bundesliga outfit, but once he makes his 20th league appearance for them, he will trigger a clause in the deal to make it permanent. It appears as though the Algerian international has enjoyed his time in Germany thus far, scoring four goals and providing four assists for Schalke in 19 league outings. Given that he doesn’t seemingly fit into Pochettino’s plans, it looks likely that he’ll be celebrating a permanent switch in the coming weeks.